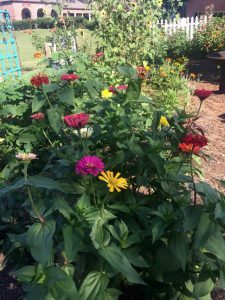 This summer’s “Better Late Than Never” pollinator garden is coming along and, as in years past, will get even more colorful as the end of summer approaches. 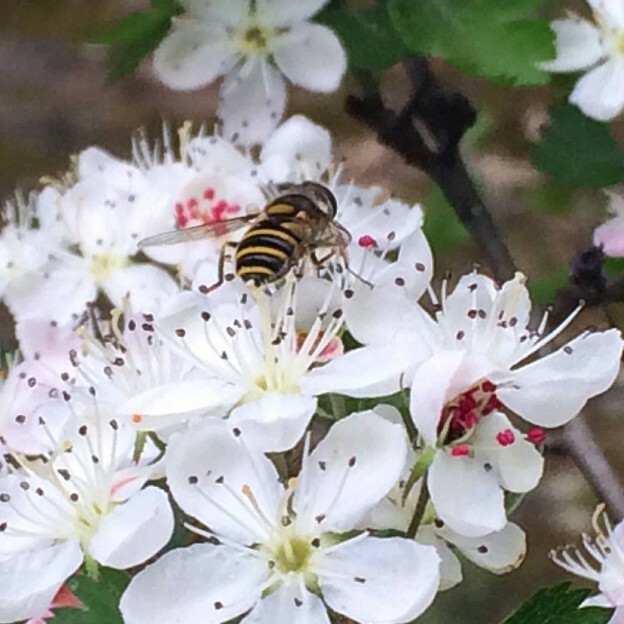 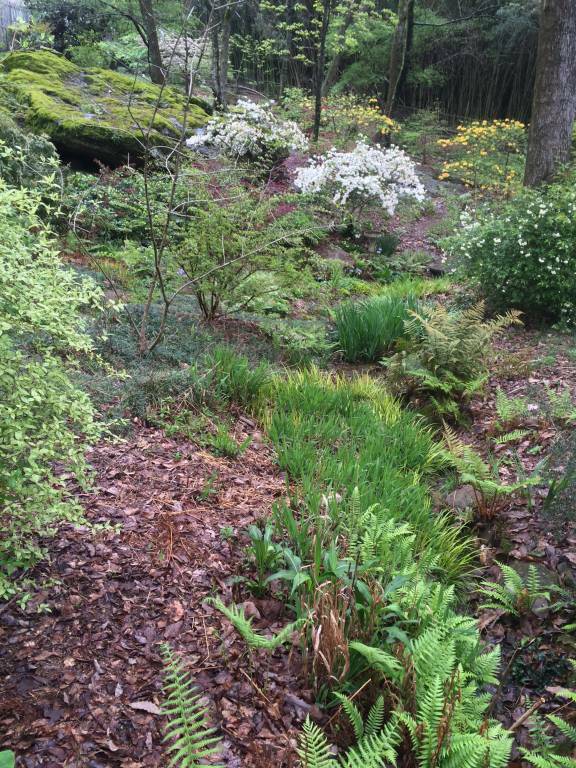 I’m happy to see that private and public gardens and gardening for wildlife is a growing trend across the country. 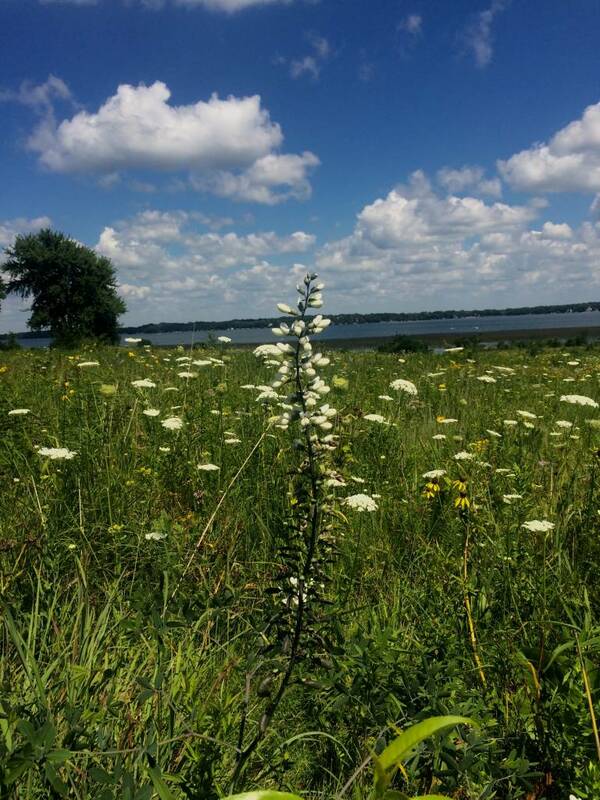 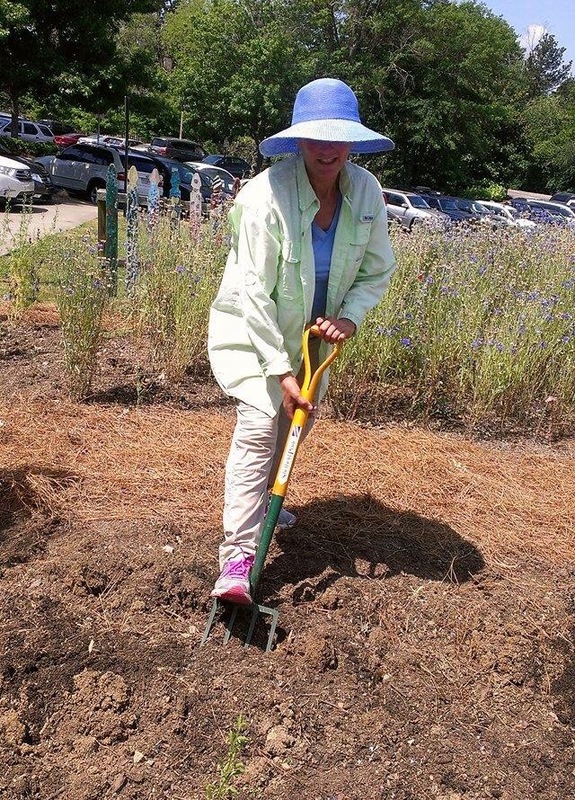 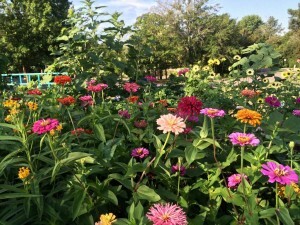 I recently returned from a trip back to my home state of Wisconsin, where I visited a couple of county parks my late father helped make possible many years ago near the beginning of this movement in public gardening. 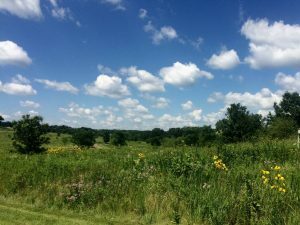 My mother, sister, and I are certain he’d have been very pleased with the progress of this prairie reclamation in the middle of southern Wisconsin farm land. 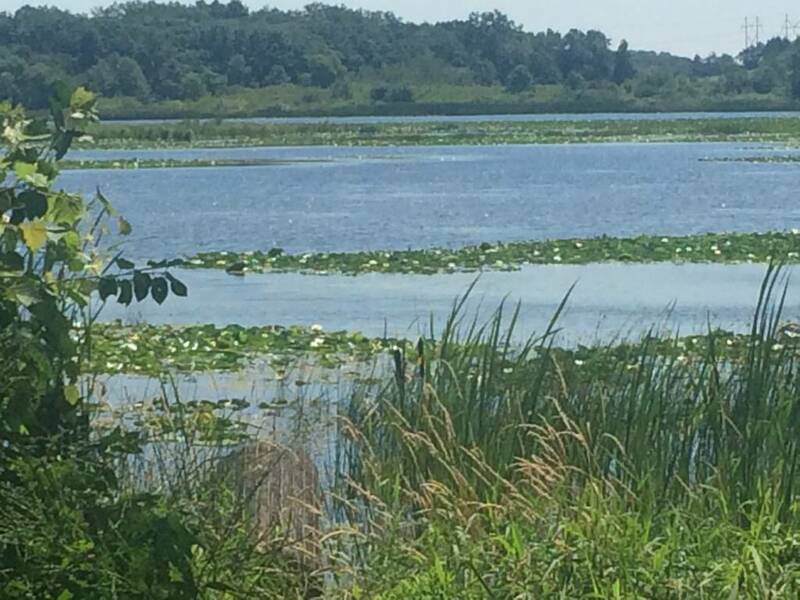 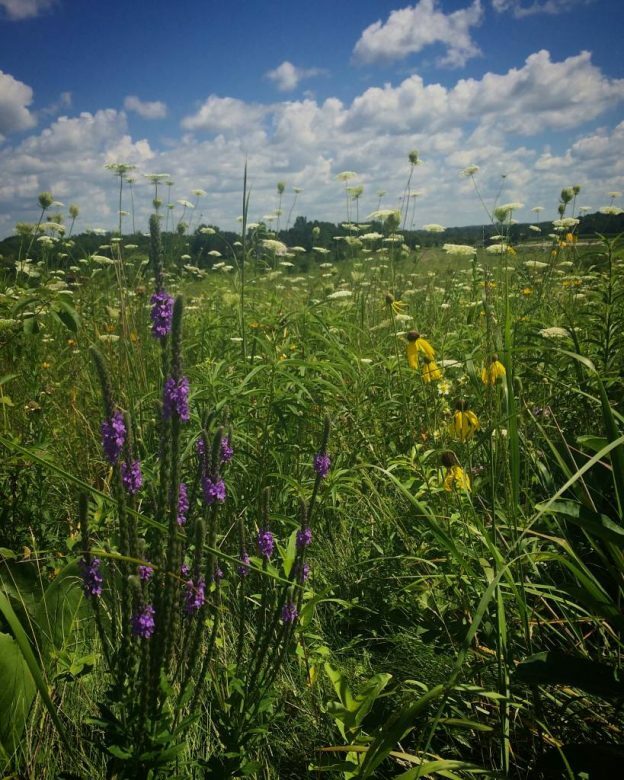 At Dorothy Carnes County Park & Rose Lake State Natural Area we watched as dozens and dozens of purple martins flew back and forth to houses set up for them, butterflies soared through prairie plantings, and a group of special needs children returned from a morning hike. The next day we visited Korth County Park on Rock Lake and hiked down to a bench overlooking the water. 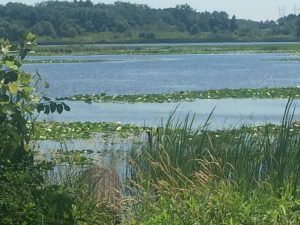 Visitors can hike or bike along paths skirting the lake, and both parks have shelters used for picnicking. 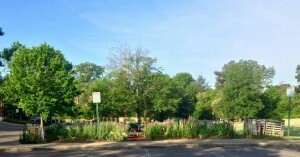 I feel so lucky to have visited these lovely and well maintained public spaces. 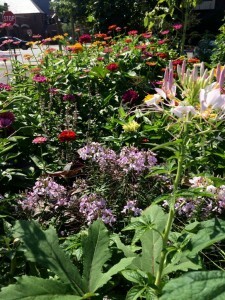 Our pollinator garden is tiny in comparison but there’s so much life in it too. 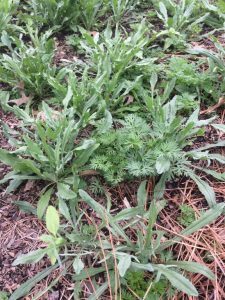 This year I had trouble finding the peach porterweed that the butterflies adore, but a few weeks ago noticed that a number of them had reseeded from the previous summer’s garden. 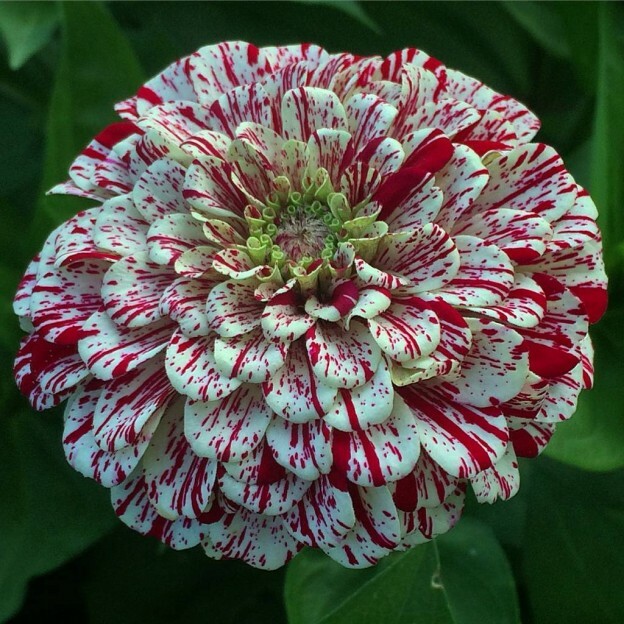 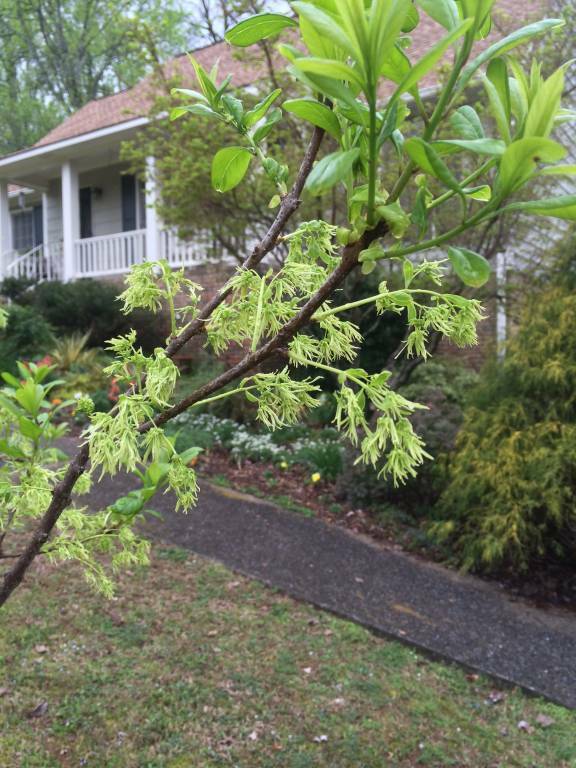 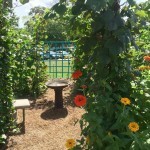 These volunteer surprises make this garden extra special. 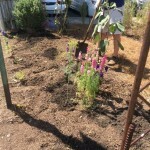 Other “volunteers” this year are red gomphrena, rudbeckias with huge blooms, many zinnias, celosia, sunflowers, cosmos, hyacinth bean and moonflower vines on the arbor, cleome where the compost bin had been, and a lone dill plant. 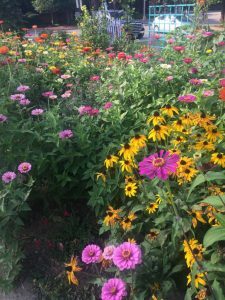 It’s truly an old fashioned cottage garden for the pollinators and the enjoyment of anyone who stops to look! 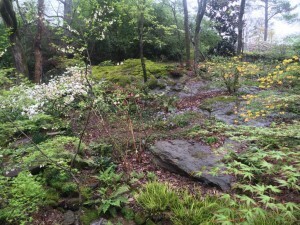 We also added a few new plants this year. 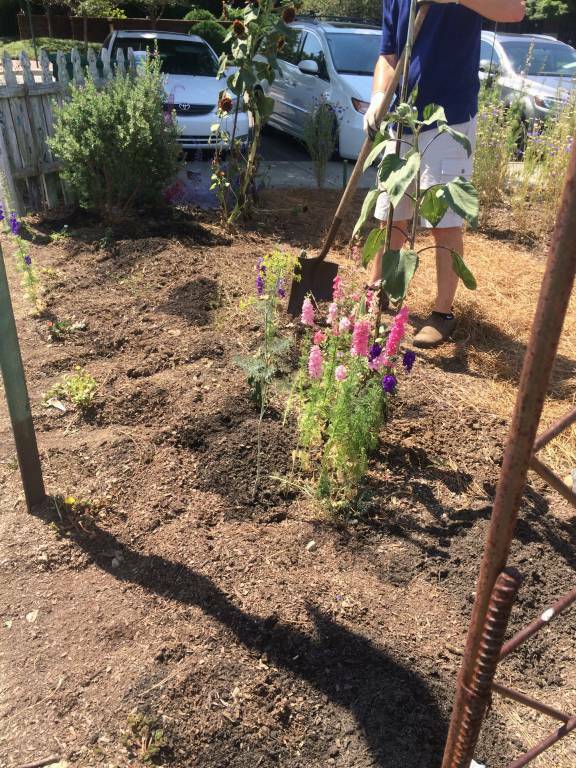 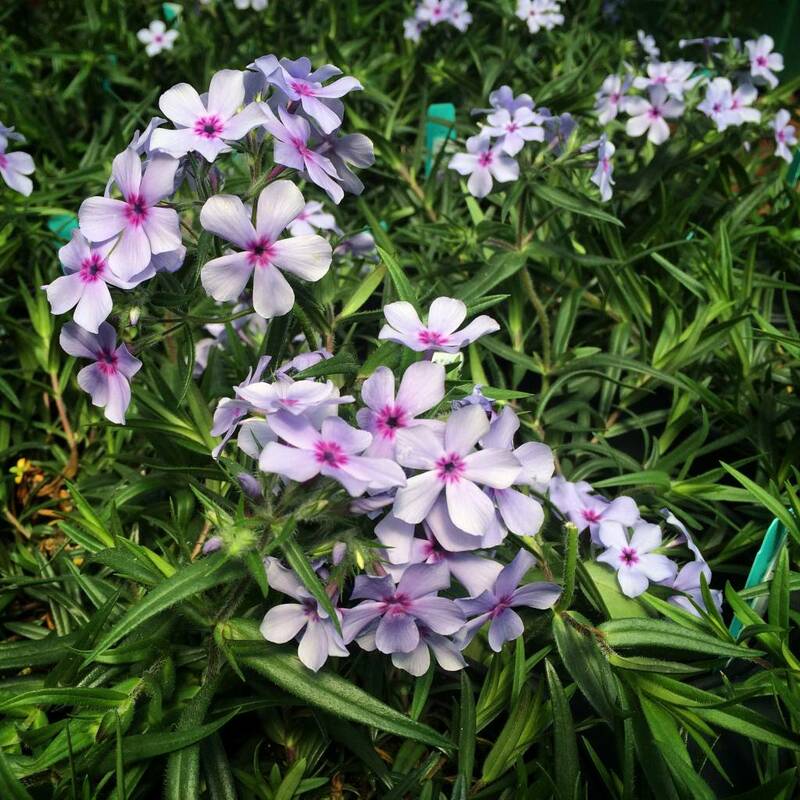 Verbena ‘Lollipop’ and pentas for butterflies, cigar plant, pineapple and Mexican sage for hummingbirds, African blue basil and purslane for the honeybees, and red ruellia too. 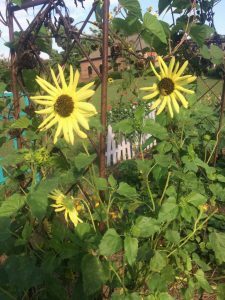 The Mexican sunflowers, tithonia, are also slowly getting larger and will add their bright orange blooms that the butterflies love as the summer wanes. 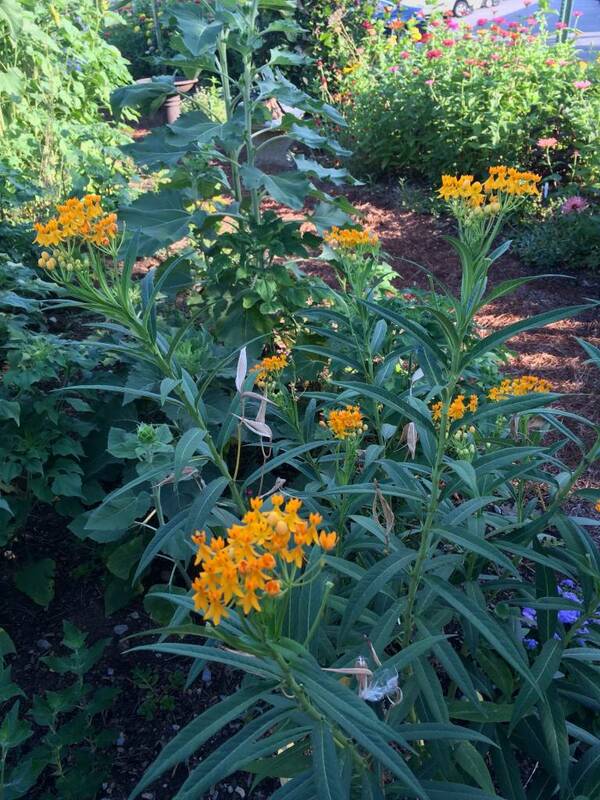 The annual milkweed is in bloom now too. 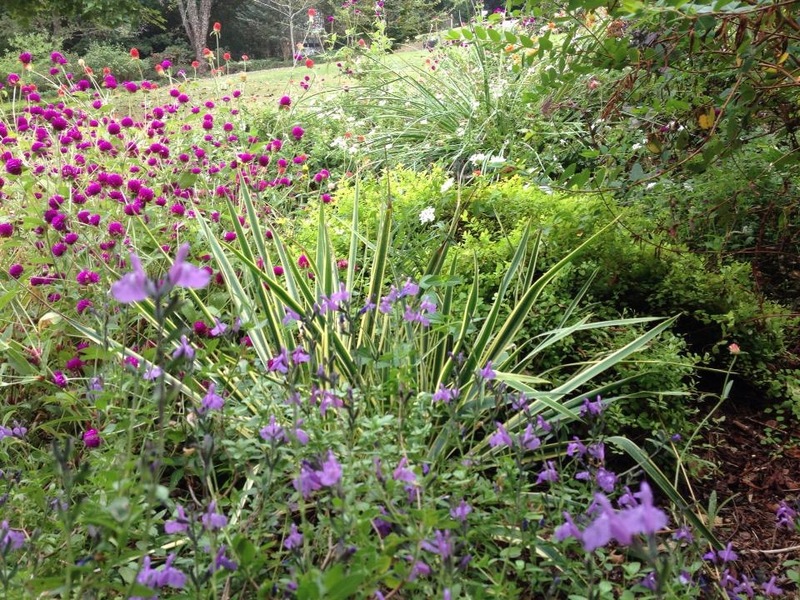 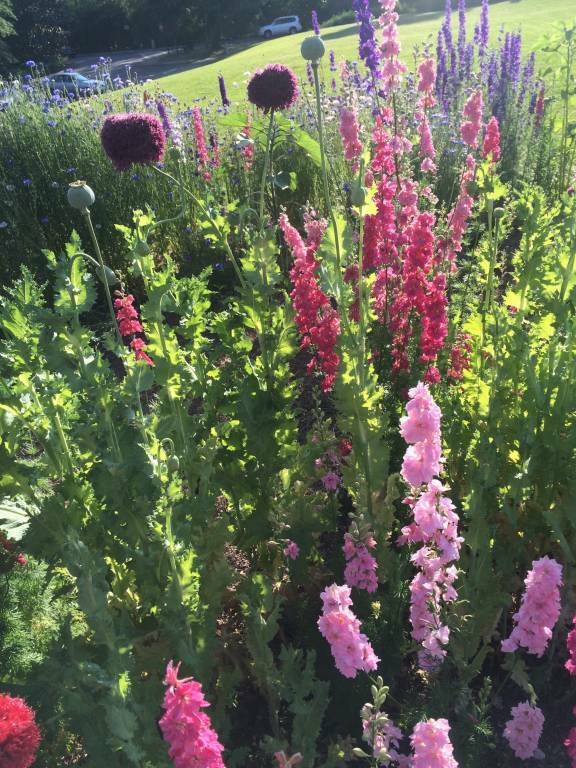 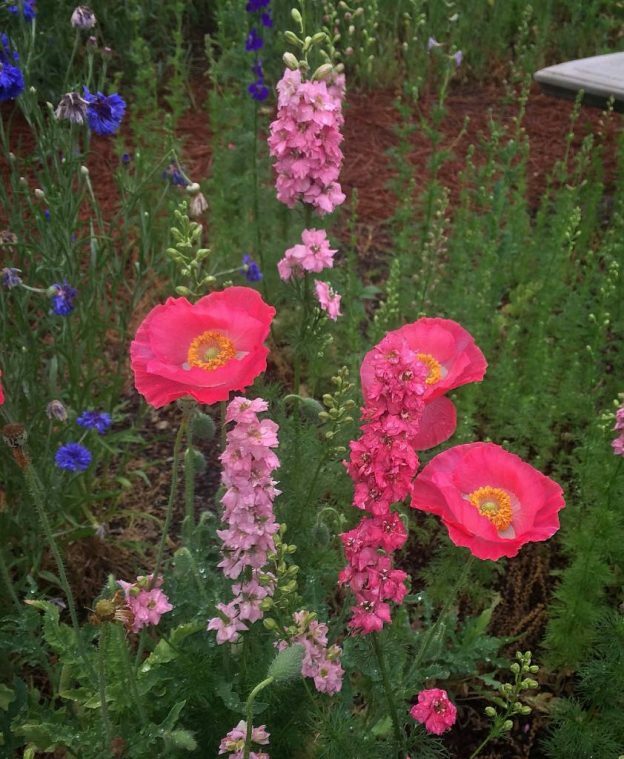 Perennials that return are always welcome in the garden! 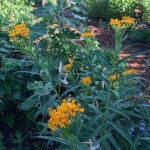 The butterfly weed, purple coneflower, and salvia greggii are old friends. 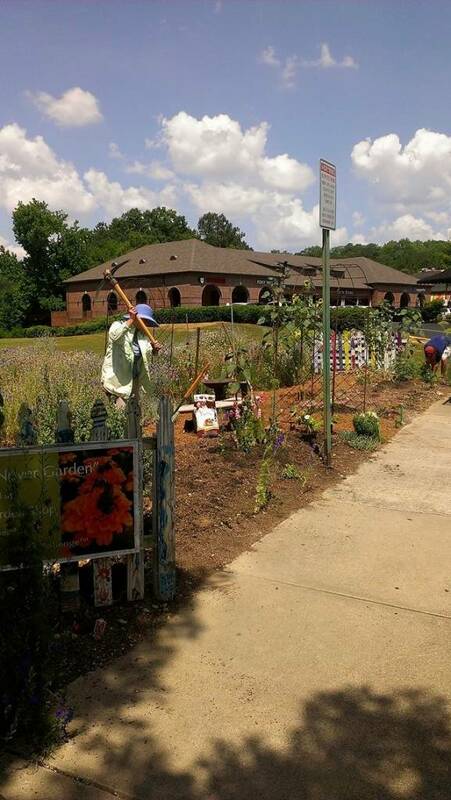 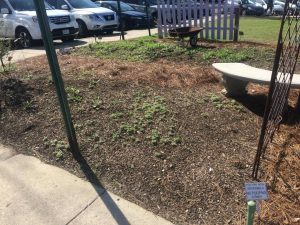 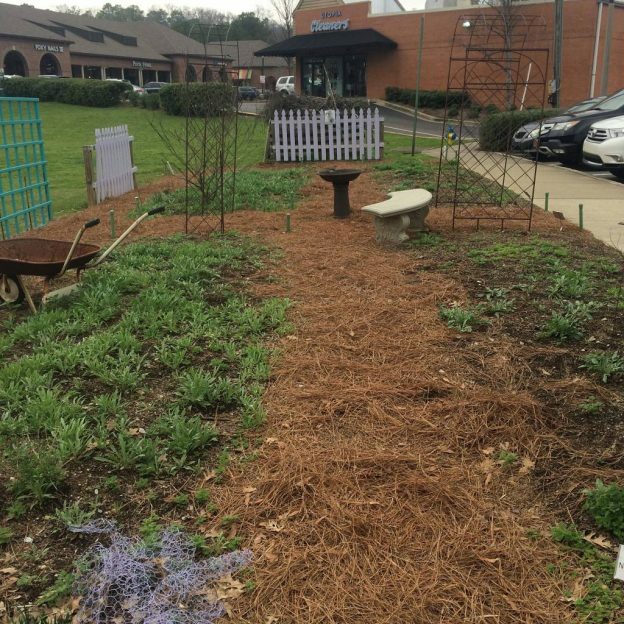 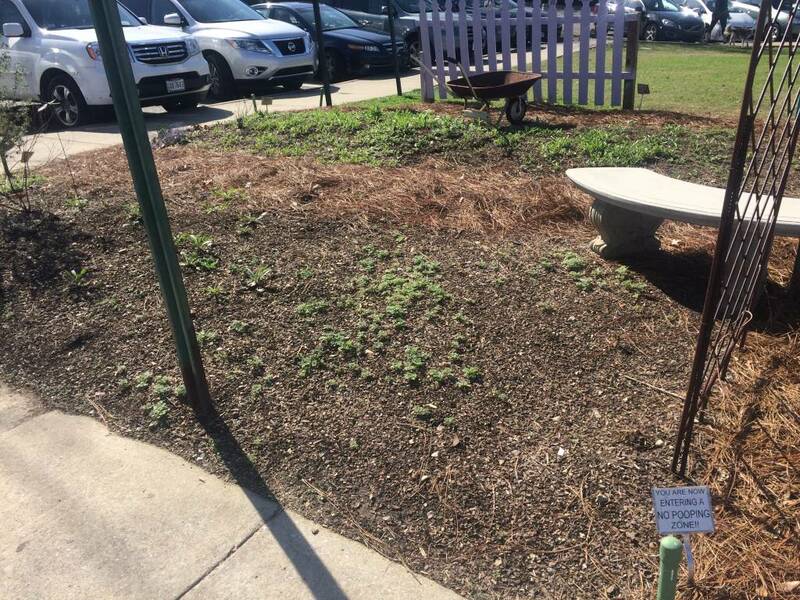 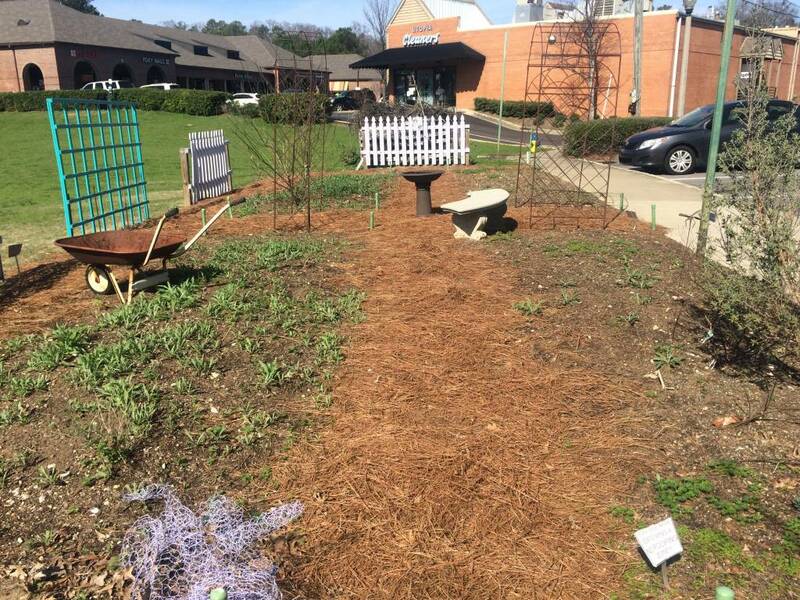 A woman approached me the other day as I was watering to say thank you and said she’s created a pollinator garden of her own after following the progress of this small space in the middle of Crestline Village. 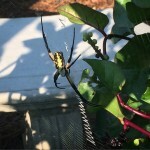 Talking with her and others has been so gratifying. 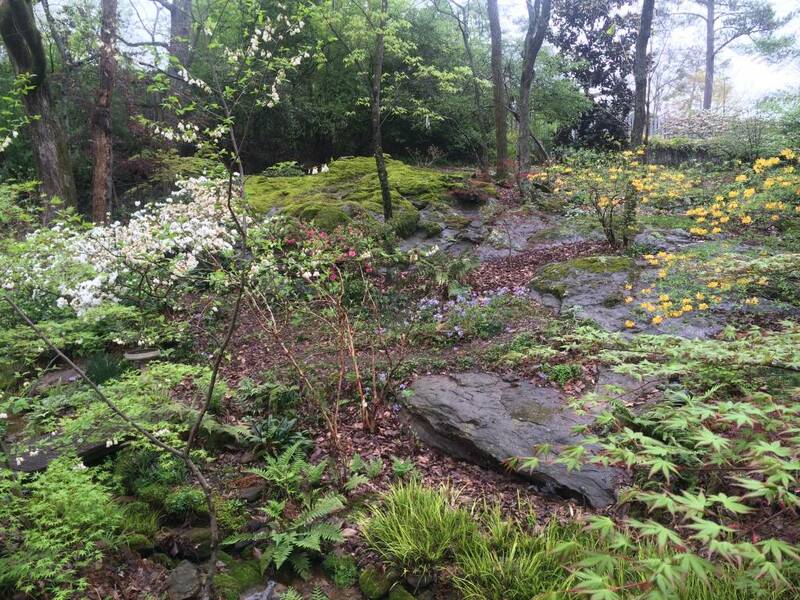 I hope my Dad is watching from wherever he is and smiling at our efforts to create a beautiful space for community and nature too. 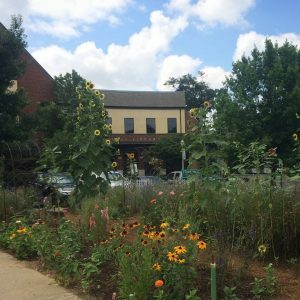 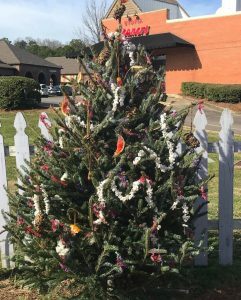 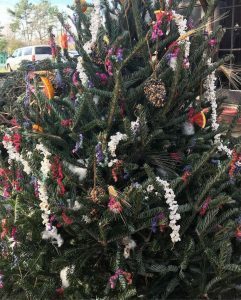 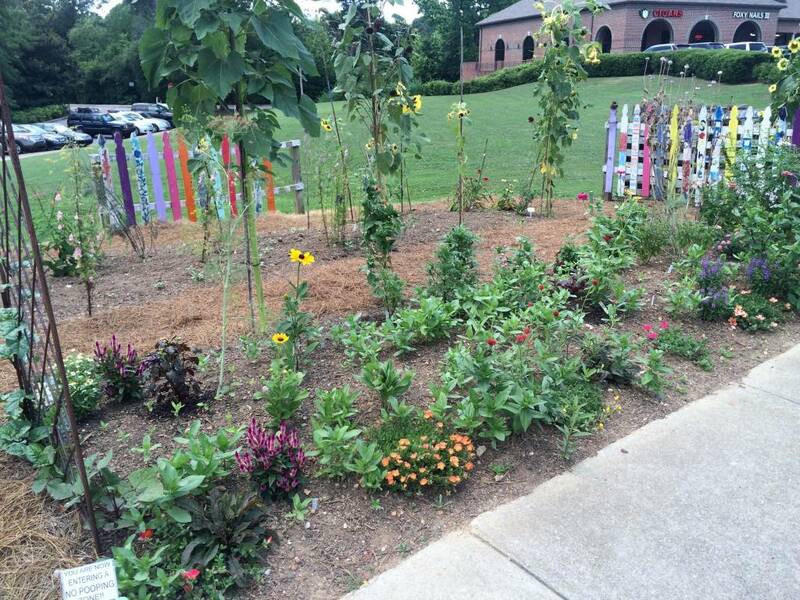 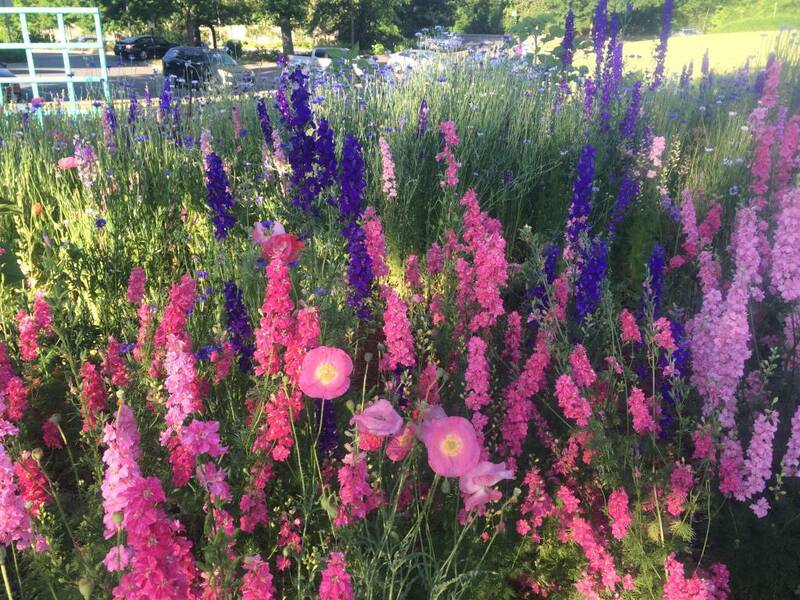 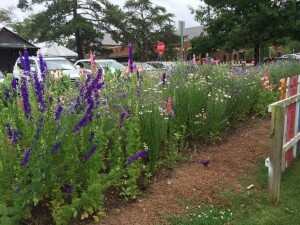 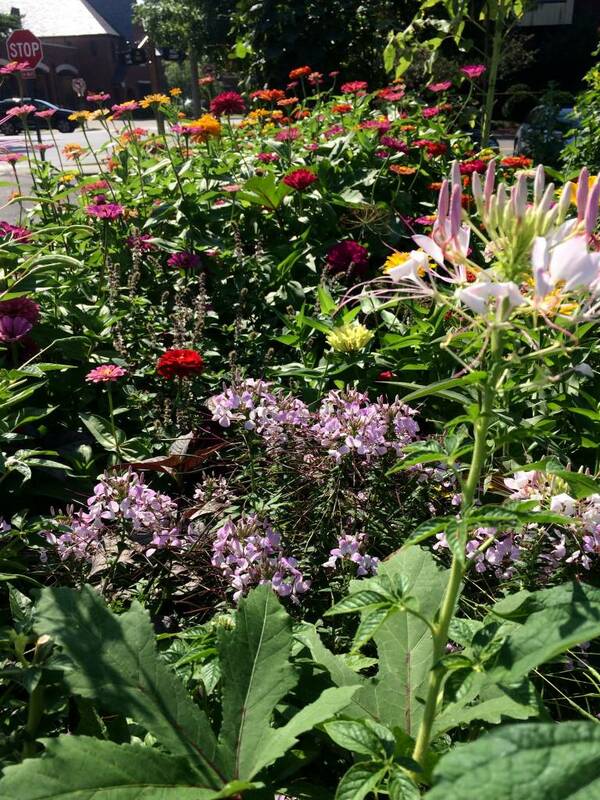 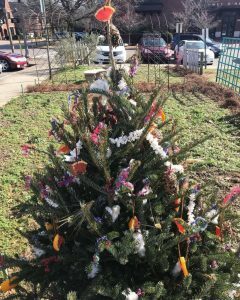 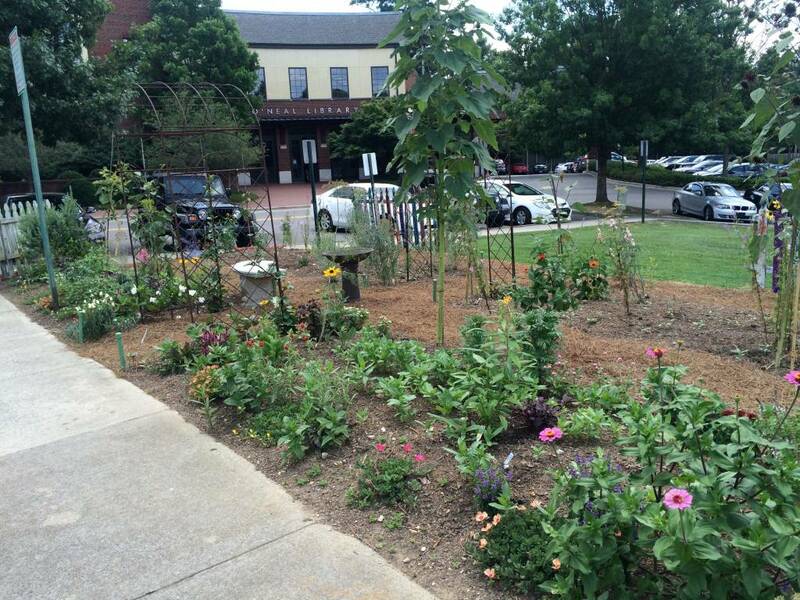 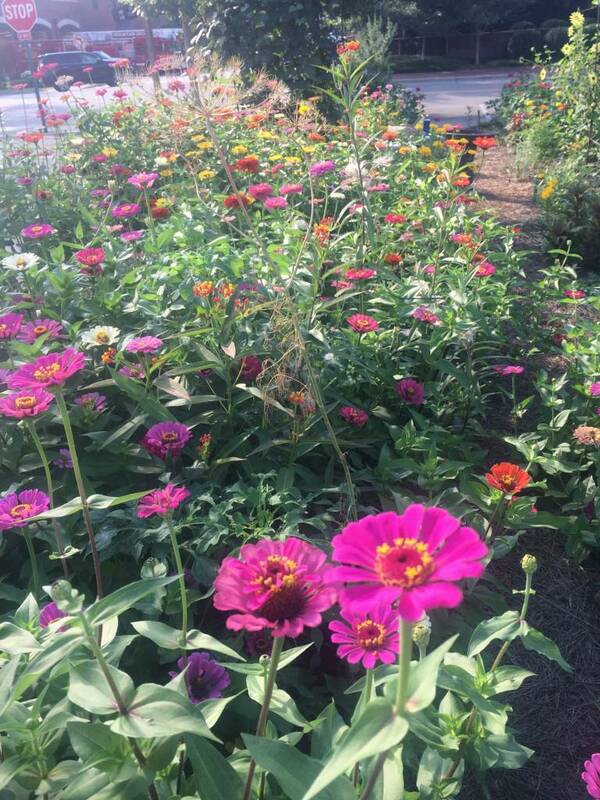 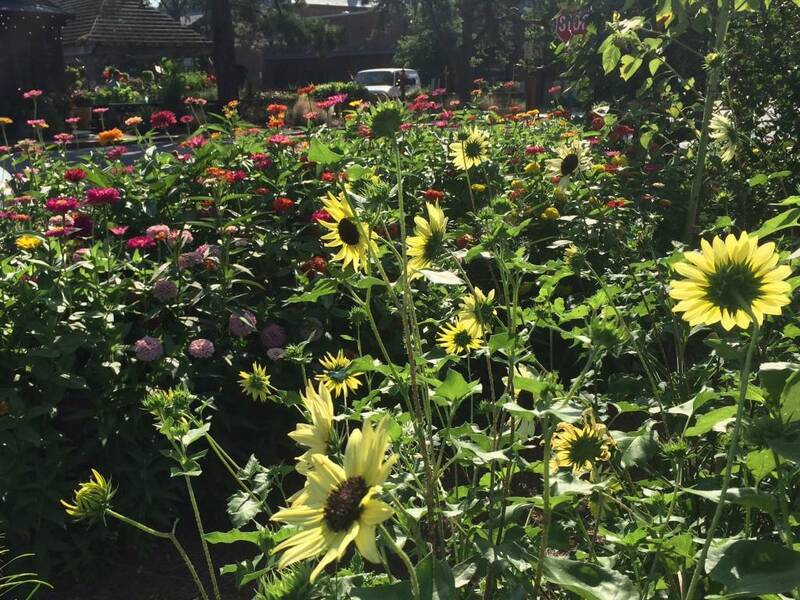 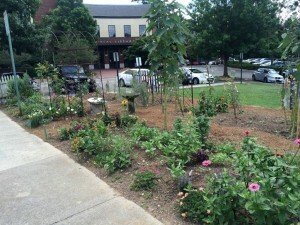 If you’re in Crestline Village, I hope you’ll take time to stop and appreciate this little slice of pollinator heaven! 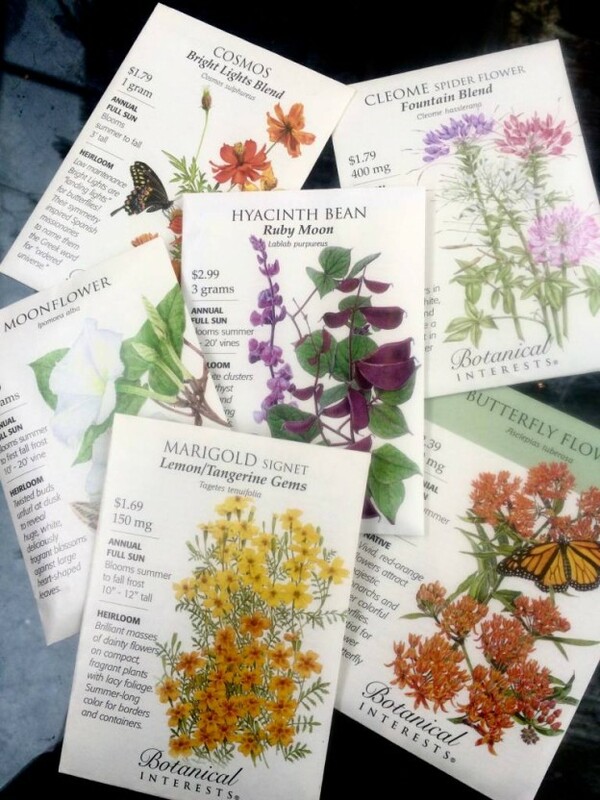 This entry was posted in community garden, Gardening Tips, Pollinator Gardening and tagged better late than never pollinator garden, butterfly weed, cleome, dorothy carnes park, gomphrena, Hyacinth bean vine, korth park, milkweed, moonvine, pollinator garden, porterweed, purslane, reclaiming prairie, salvia, zinnias on August 3, 2017 by Kris Blevons. Village Living, our neighborhood newspaper, did a nice story on pollinator gardening that ran in an April issue. 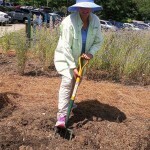 It was a very good and informative article, but I fretted that the picture was of me weeding, and not very exciting. 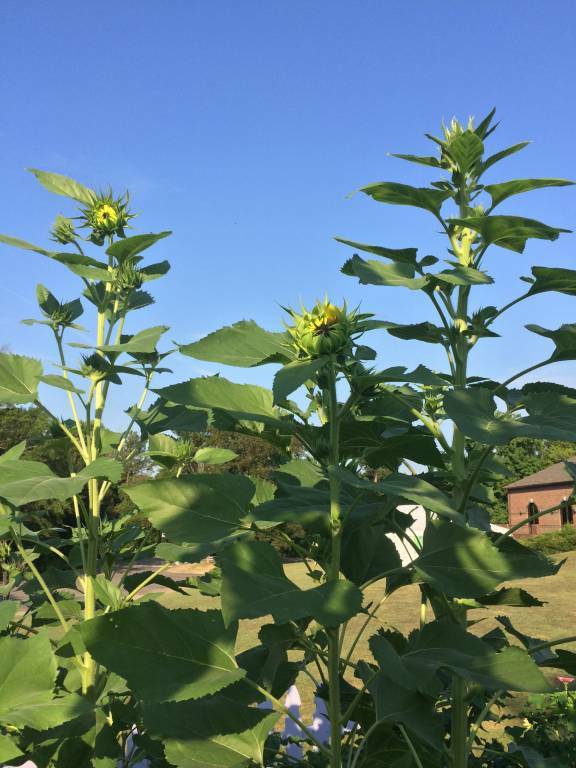 What a difference a month makes! The bachelor buttons are putting on their annual show, tough plants that come back year after year to dazzle with their varied shades of blue, lavender, pink, and white flowers. 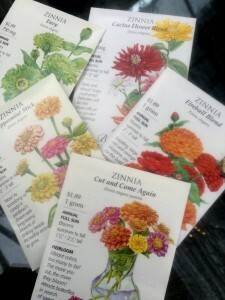 I throw out more seed each January (I’m too busy during the holidays to sow it any earlier.) 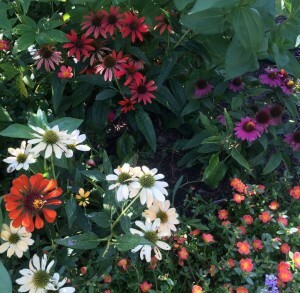 of select blooms from the previous year’s garden. 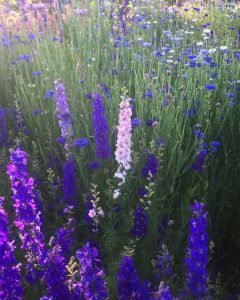 I’m pleased with the larkspur this year and marvel how it is a constant now, though I add more seed of it as well, not quite trusting that it will reappear each year. 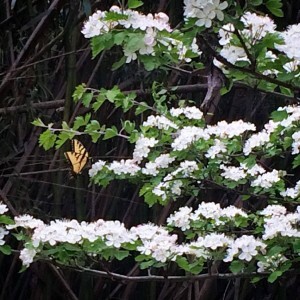 In May, on a warm morning, I walk through the small space, marveling at the abundance of bloom. 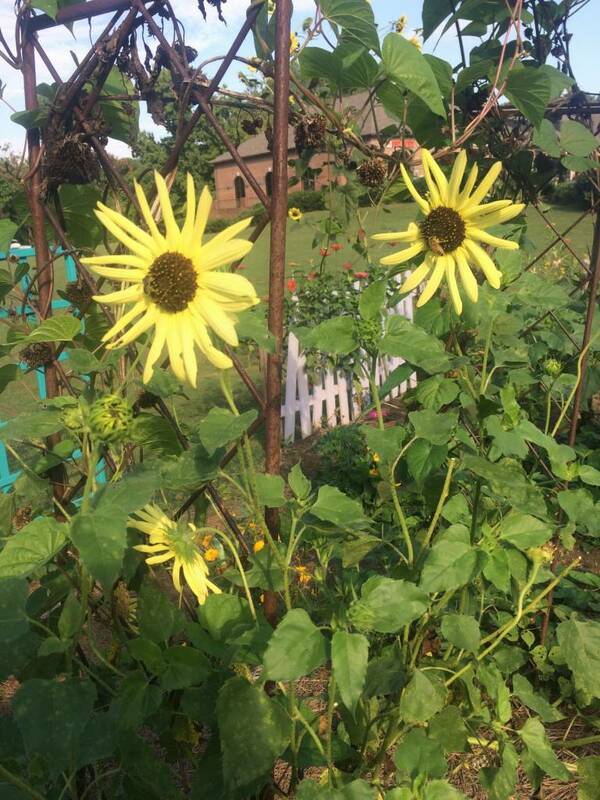 The ‘Indian Summer’ rudbeckia (Black-eyed Susan’s) have returned and are blooming. This is exciting, as I wasn’t sure if they’d be cold hardy in this open area. 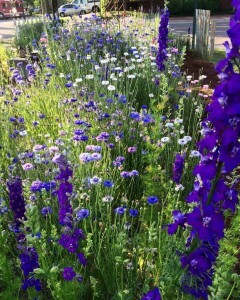 They’ve not only returned, but have sown themselves in another spot as well. 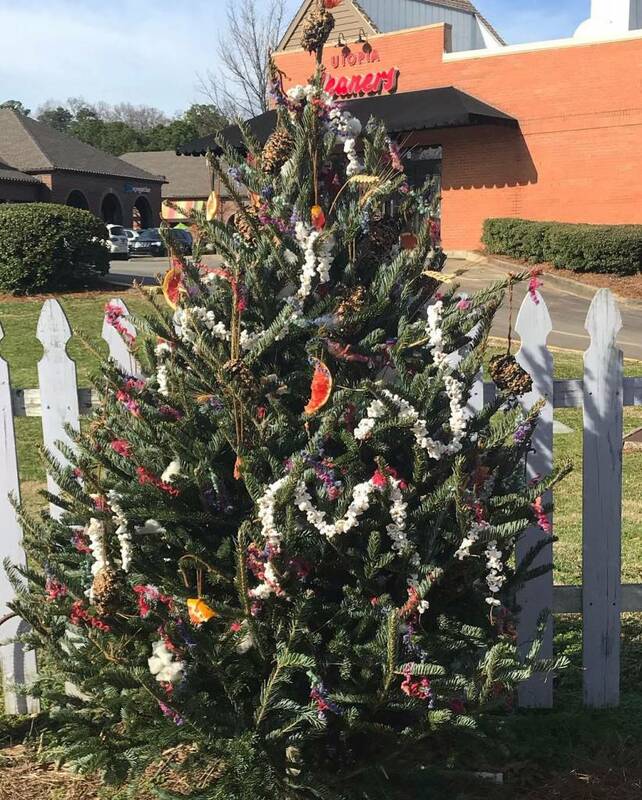 Excellent, I think. 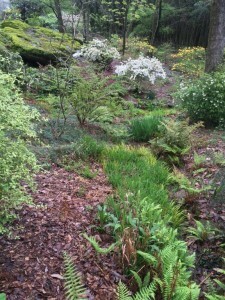 I move on, strolling around the corner of the back bed beside the compost bin. 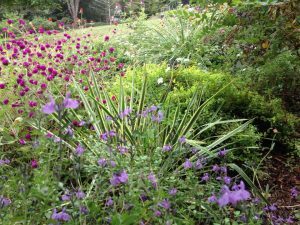 There’s a verbena blooming that I didn’t plant – I’d noticed it for the first time last year, and here it is again, a lovely lavender flower carpeting the ground beneath the blooming bachelor buttons. 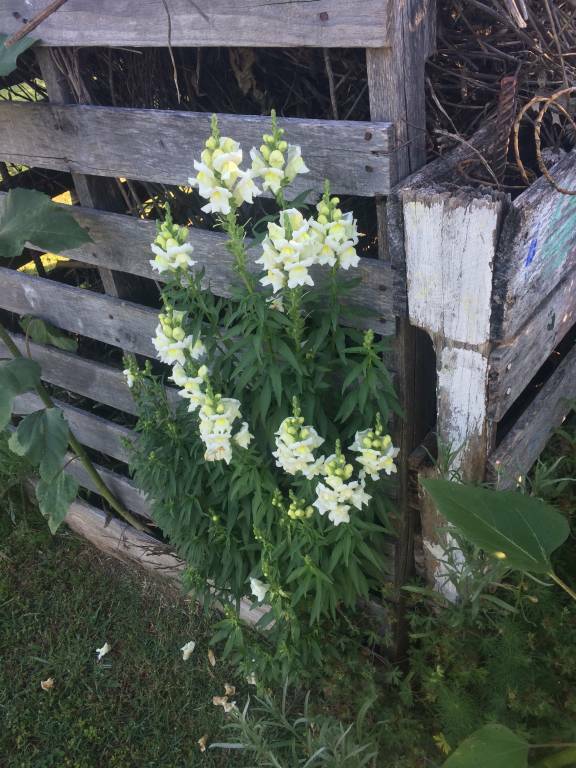 I glance to my right and see a white snapdragon, clinging to the edge of the compost bin, a virtual annual espalier, only surviving the city worker’s weedeaters by hugging the weathered wood. 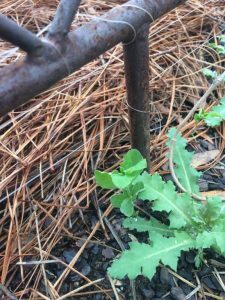 We’re having to take the old compost bin out, it’s looking pretty ramshackle, and folks are beginning to throw trash in it. So many survivors have seeded themselves around it, and I’ll miss the surprises it offered. I know that soon the onslaught of heat will be too much for these winter beauties and they’ll begin to flag. I already see signs of summer’s encroachment; sunflowers and zinnias have sprouted and grown from dormant seeds that have taken advantage of spring sun and warm soil. I stroll and strive to savor every moment. 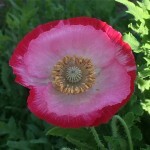 Motionless, I watch honeybees move from poppy to poppy, blurring my eyes to better see the morning sun shining through the beds of blue and pink. 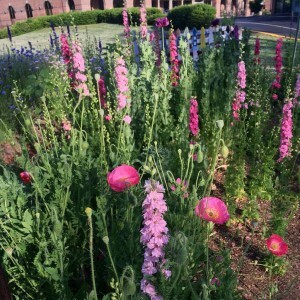 Gardens are transient and I know in another month (because this garden is “better late than never”) when the seeds for the summer garden are finally sown, this early morning vision will be a distant, beautiful memory. 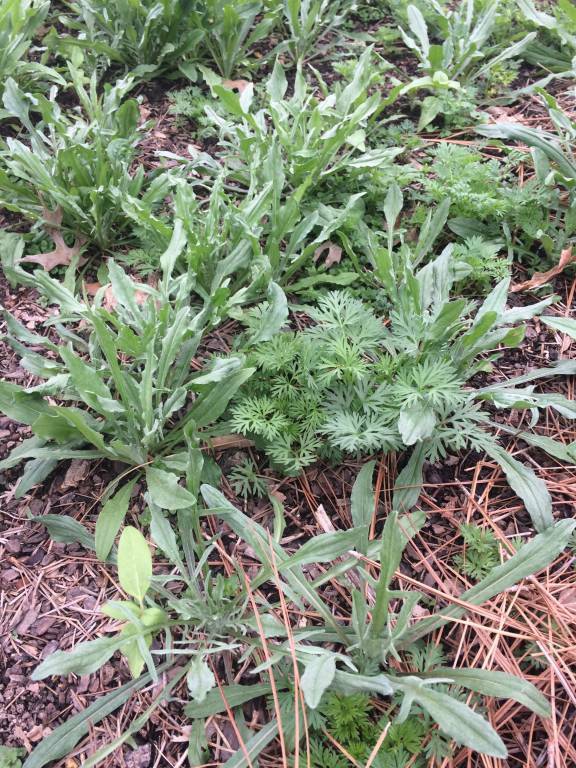 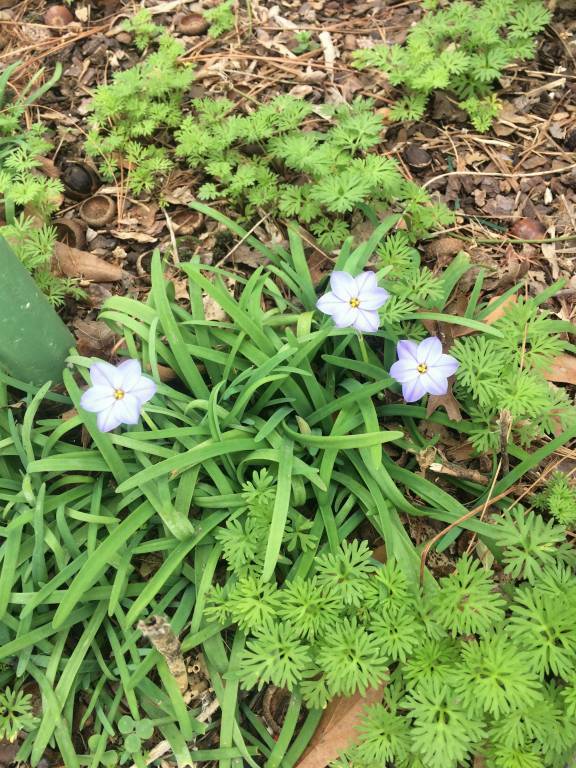 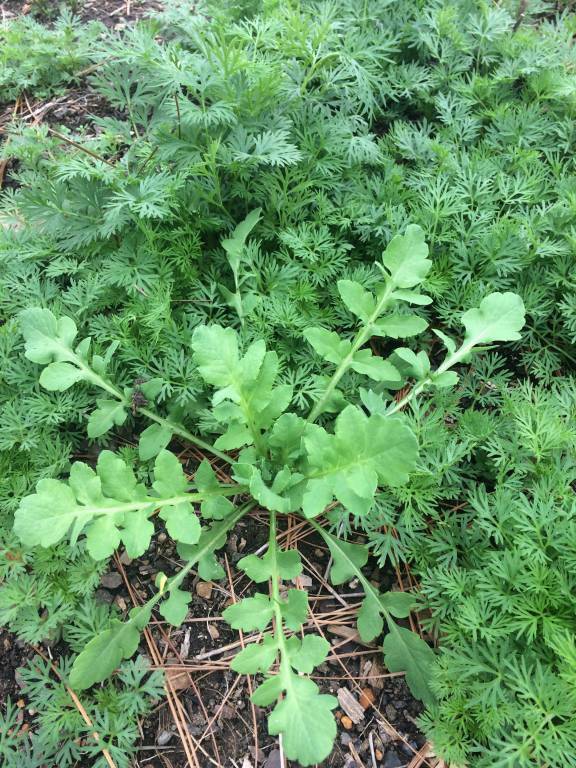 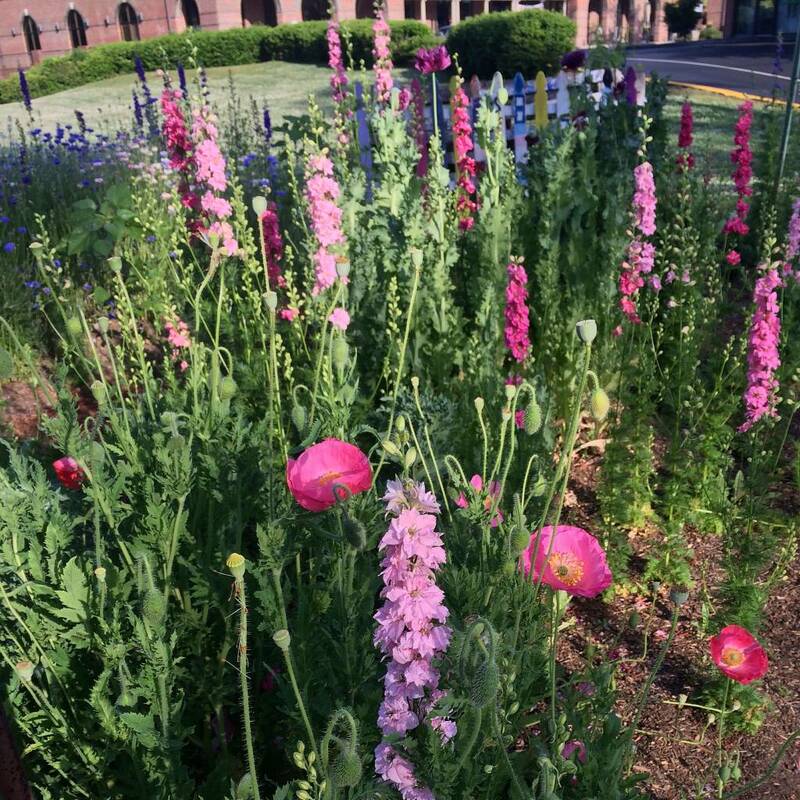 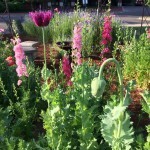 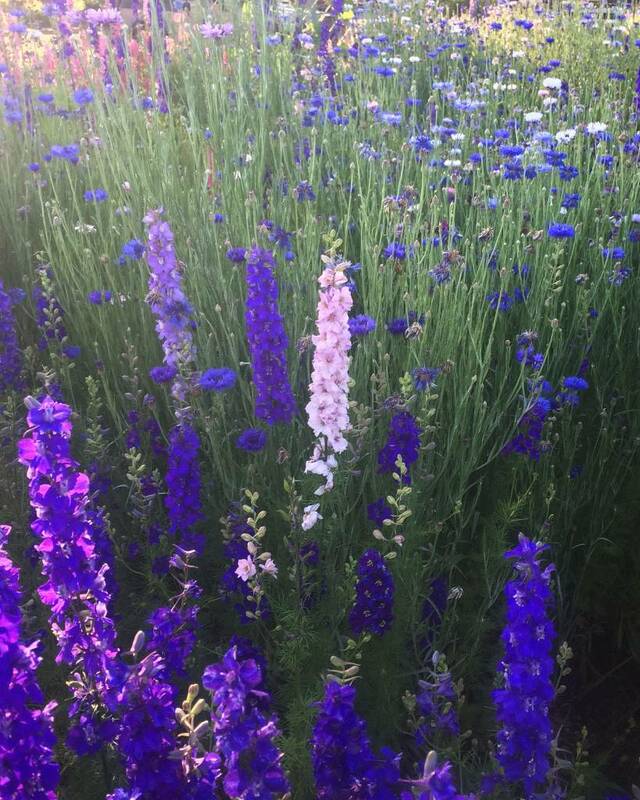 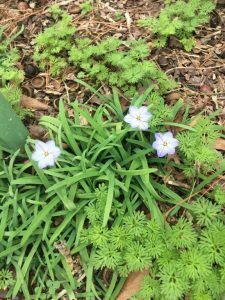 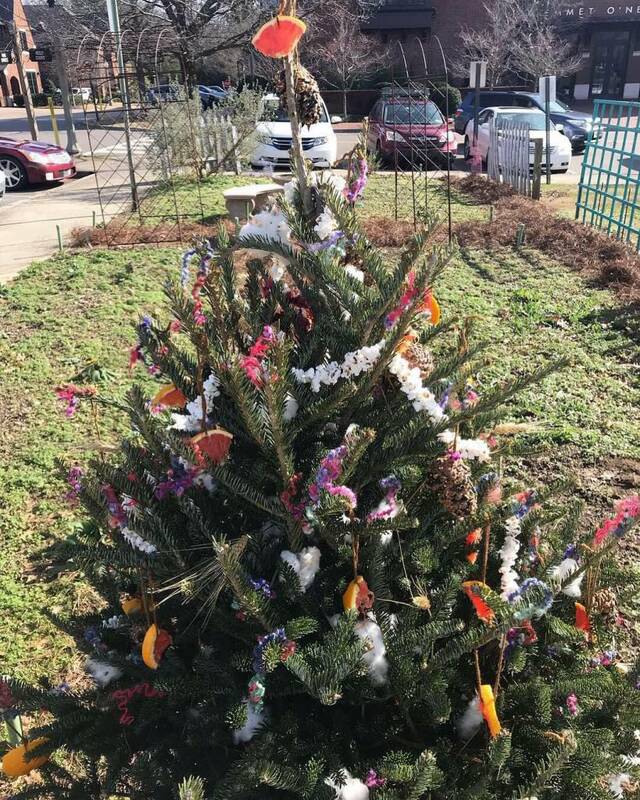 This entry was posted in community garden, Pollinator Gardening and tagged bachelor buttons, better late than never pollinator garden, larkspur, million pollinator garden network on May 10, 2017 by Kris Blevons. 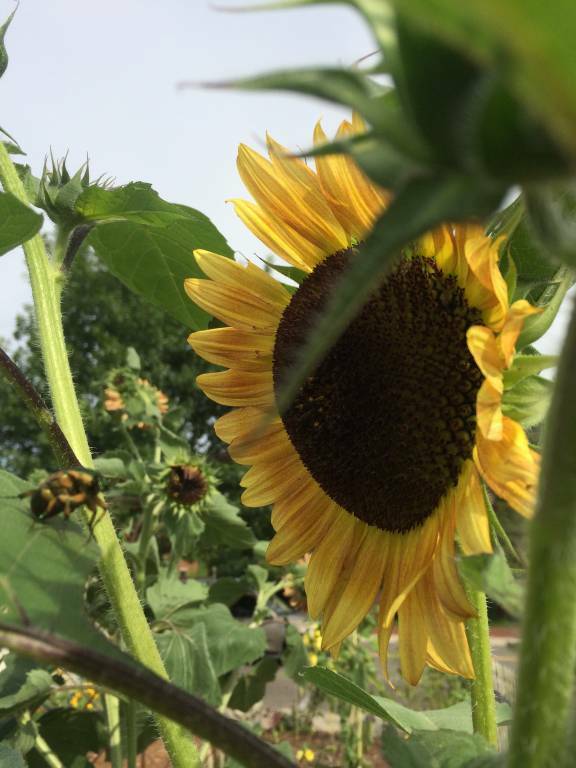 The great thing about sunflowers, if you’ve ever planted them by seed, is that often they’ll reseed, or come back the next year, in the same spots or somewhere nearby. 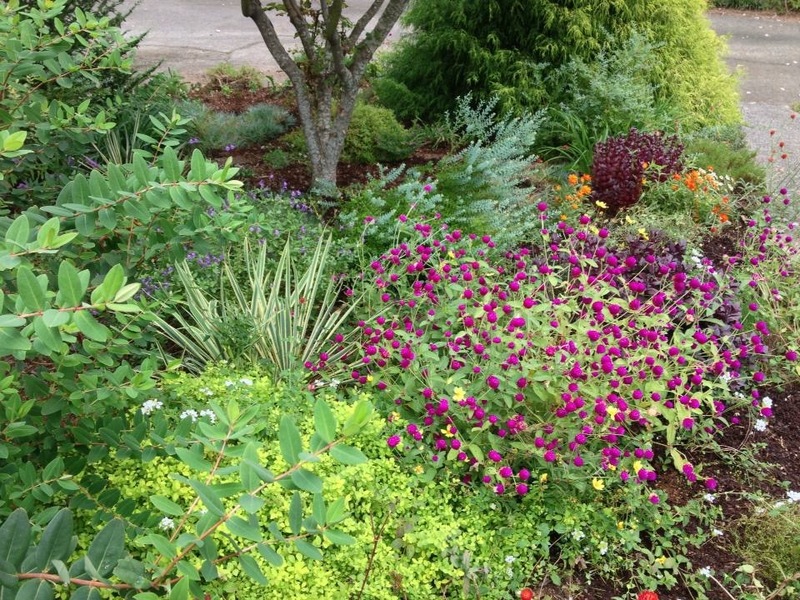 This is more likely to happen if you’re not diligent about deadheading (keeping the spent blooms cut off). 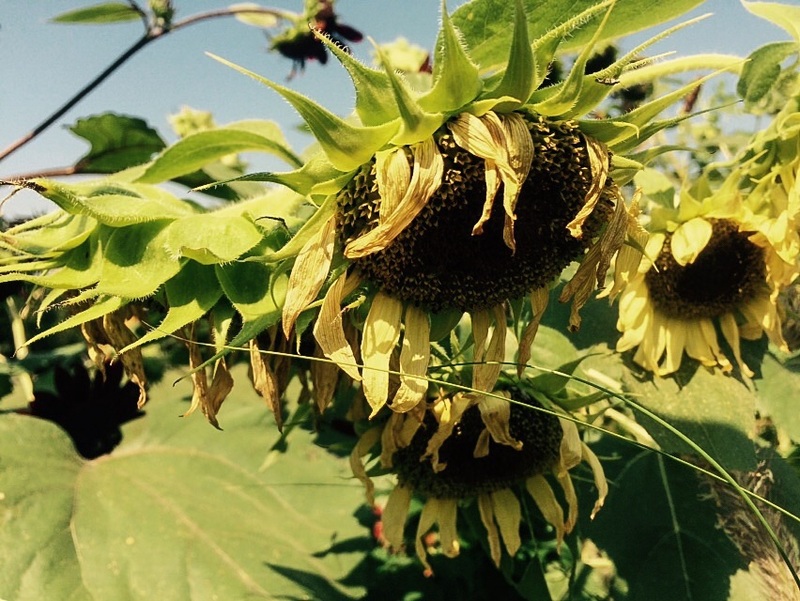 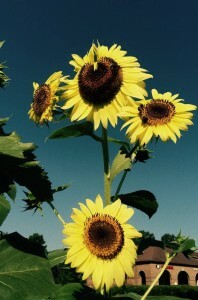 Late last fall the sunflower plants of summer were cut down and muscled out of the ground. 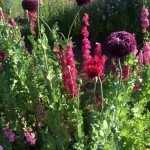 By that point they had enormous stems and were very well rooted. It took some time to clear the garden of debris. 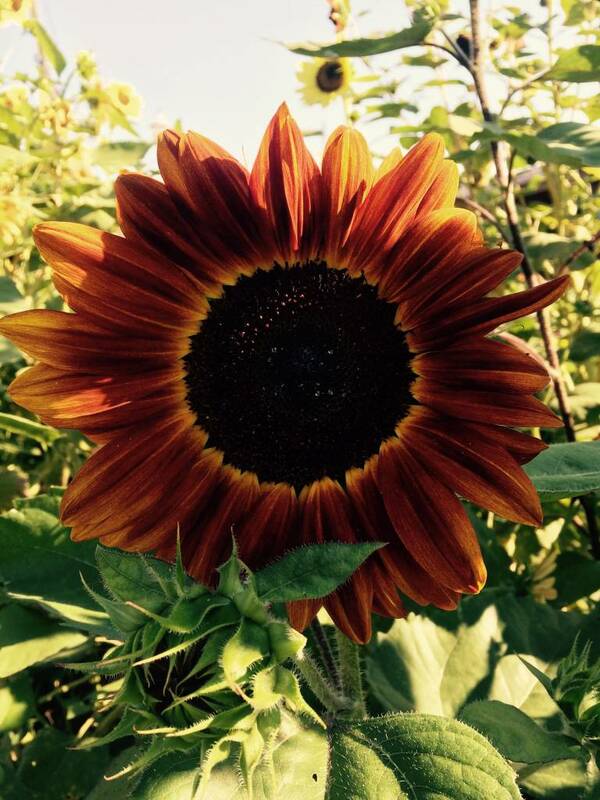 Obviously, not all of the sunflower seeds were composted – and I’m glad they weren’t – because this year, in addition to the extra sunflowers I seeded in late June, I already had these beauties up and blooming. 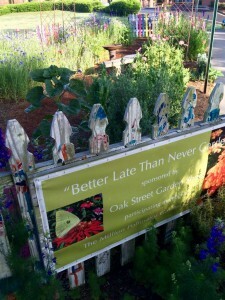 What a great way to extend the flower season in our ‘Better Late Than Never Garden’! 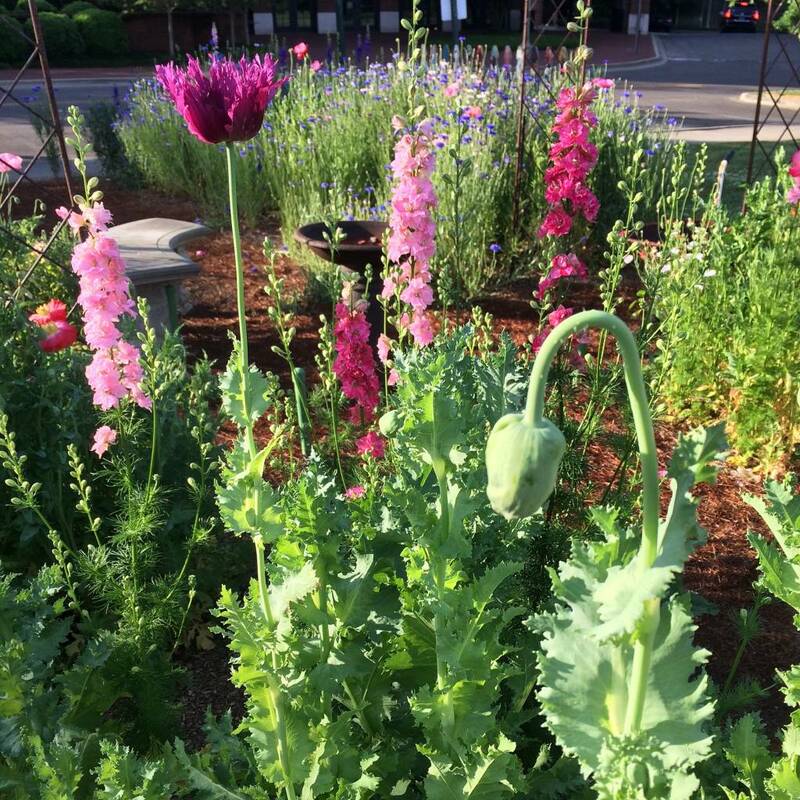 Those shown here have bloomed out at this point, but their flower seed heads have created a feast for flocks of goldfinches…such a pretty sight early in the morning! Sunflowers are so easy to grow from seed, and we carry many varieties from our supplier, Botanical Interests. 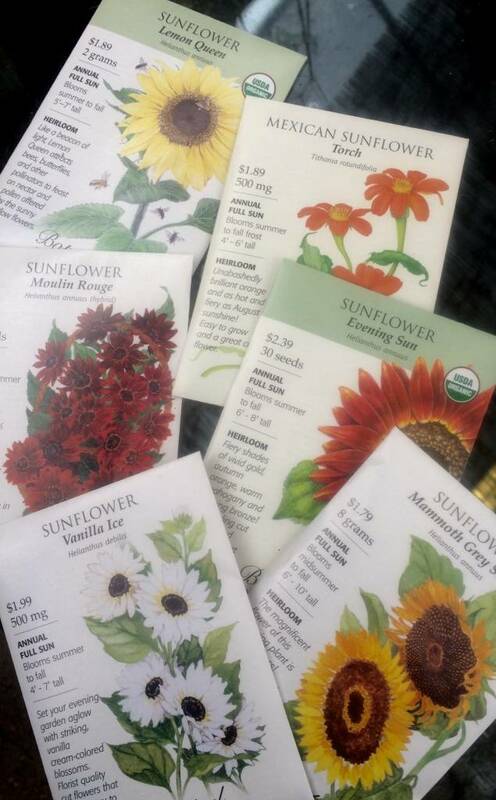 New packets are available each spring, and the best selection always goes to the early birds! 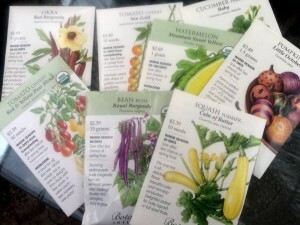 Buy your seed and wait to sow them until the soil is really warm. 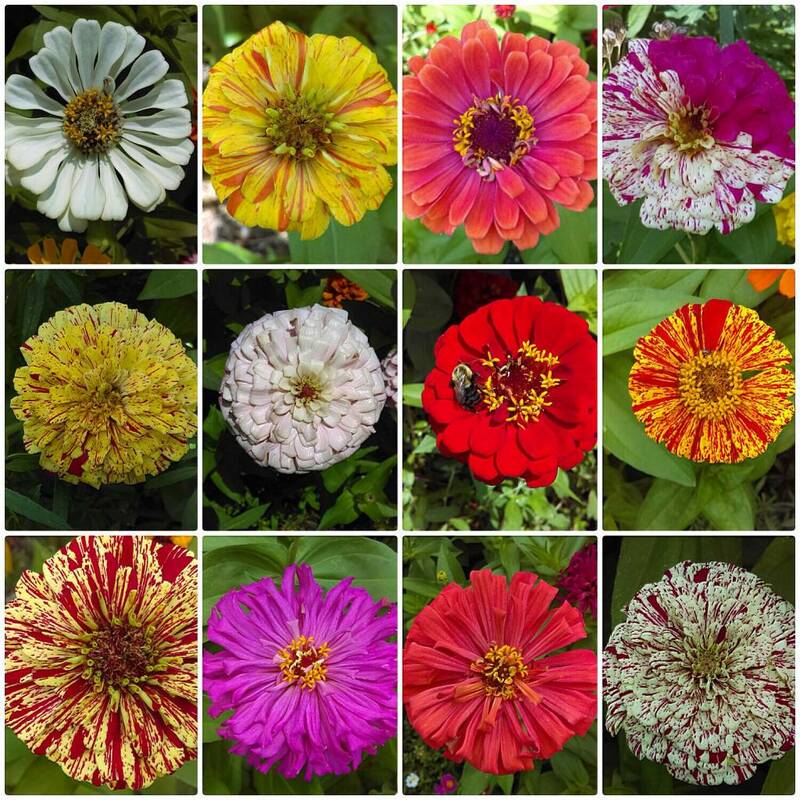 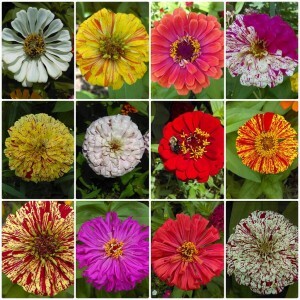 You can begin sowing them directly in the ground any time after the middle of May and sow more every couple of weeks for even more continuous bloom. 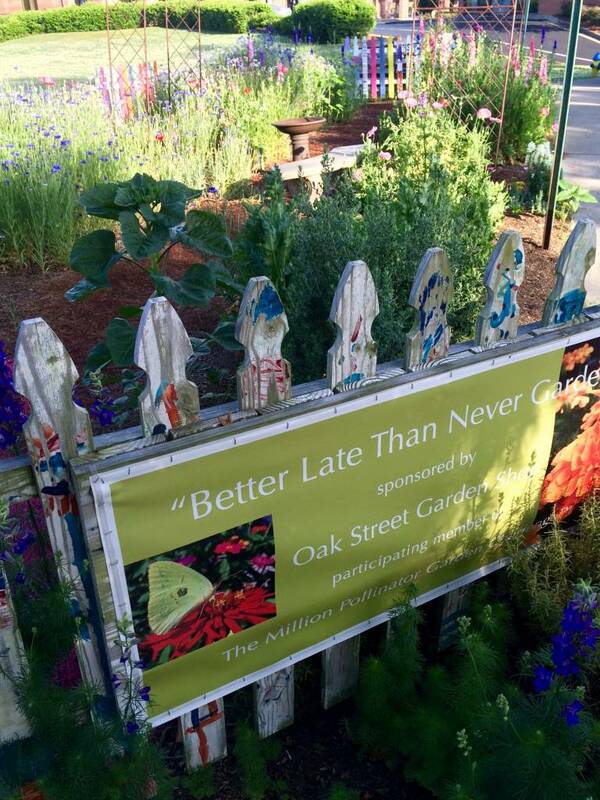 And, if you get a late start, don’t worry! 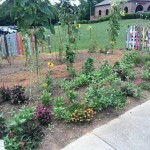 Remember, this garden gets seeded as late as the end of June and provides continuous color through September. So much happiness from a few packets of seed! 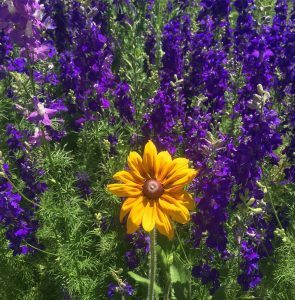 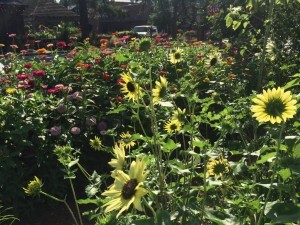 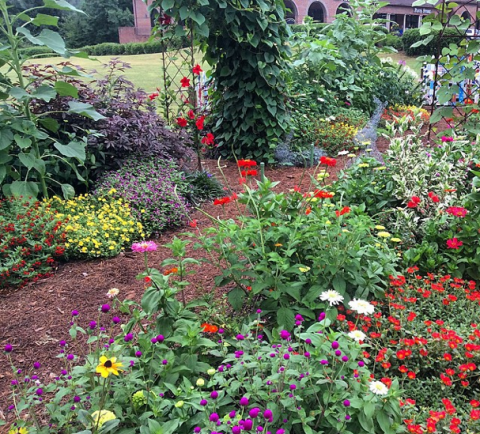 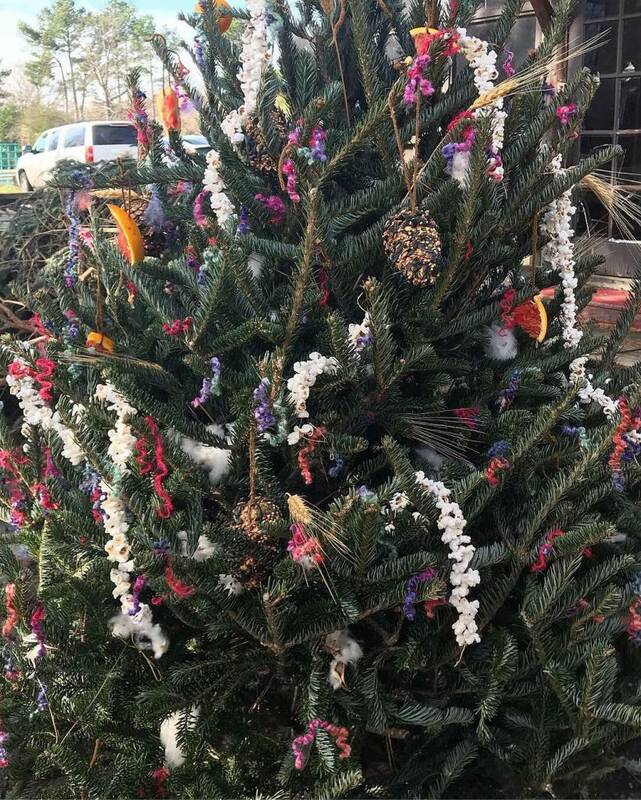 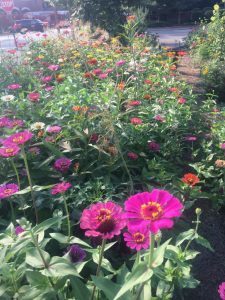 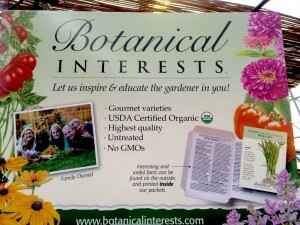 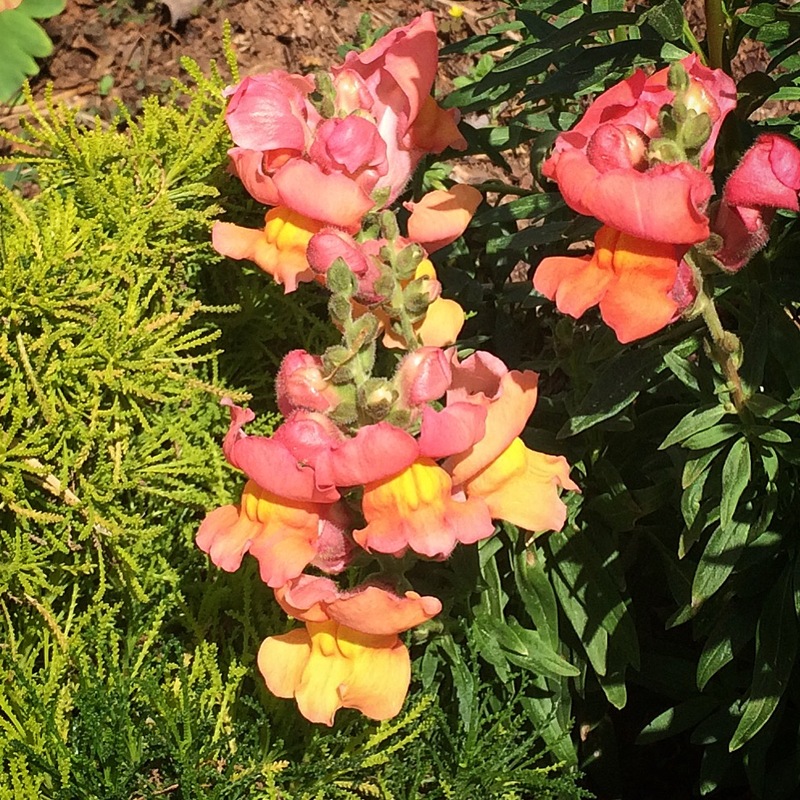 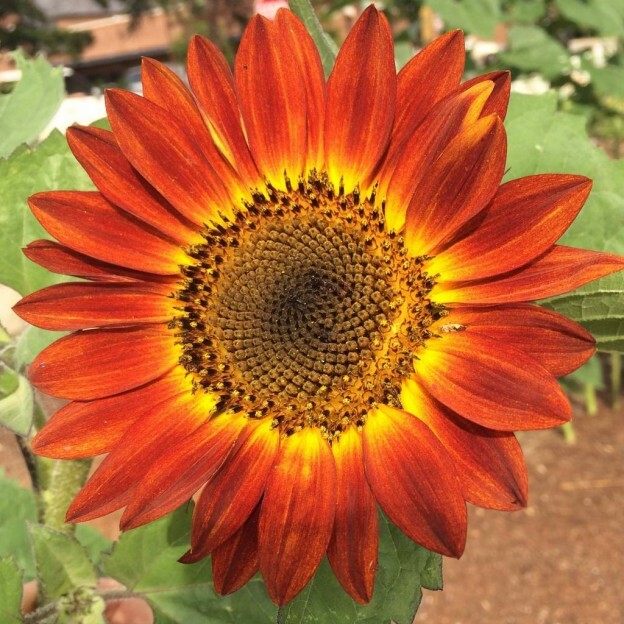 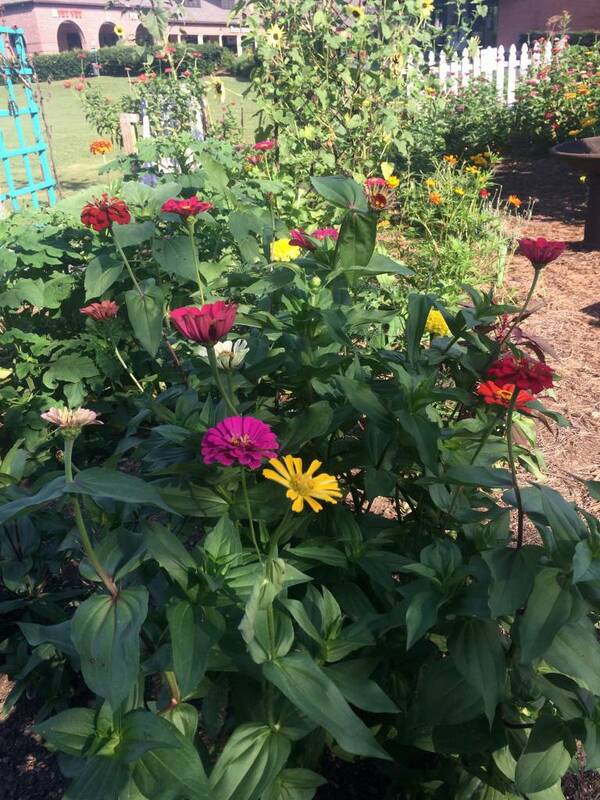 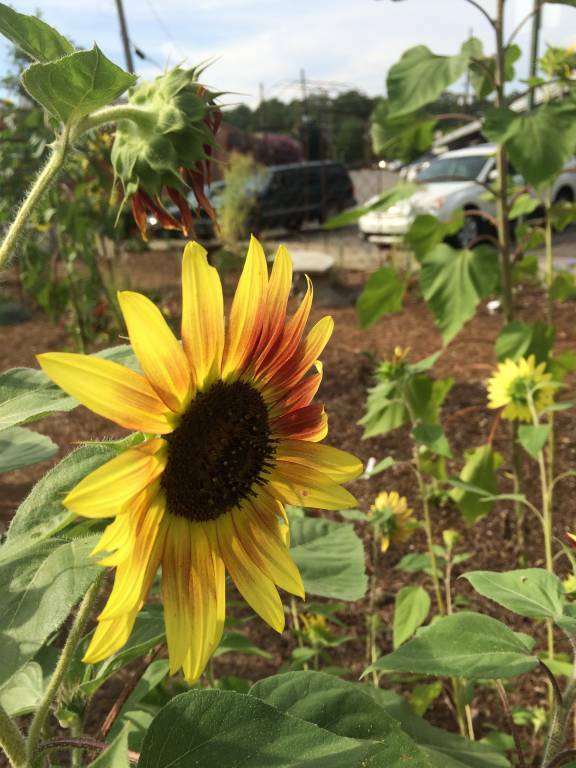 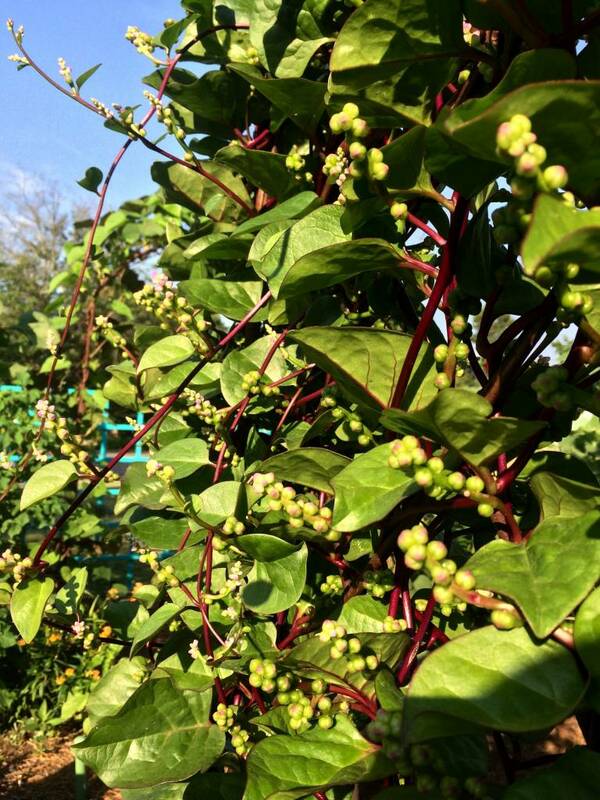 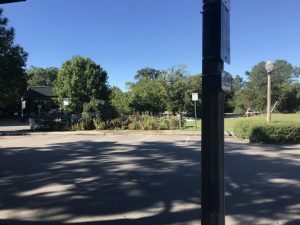 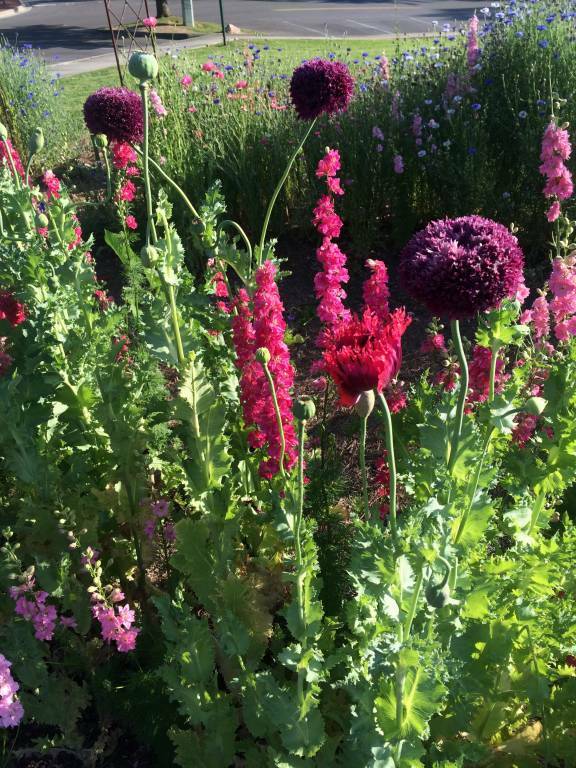 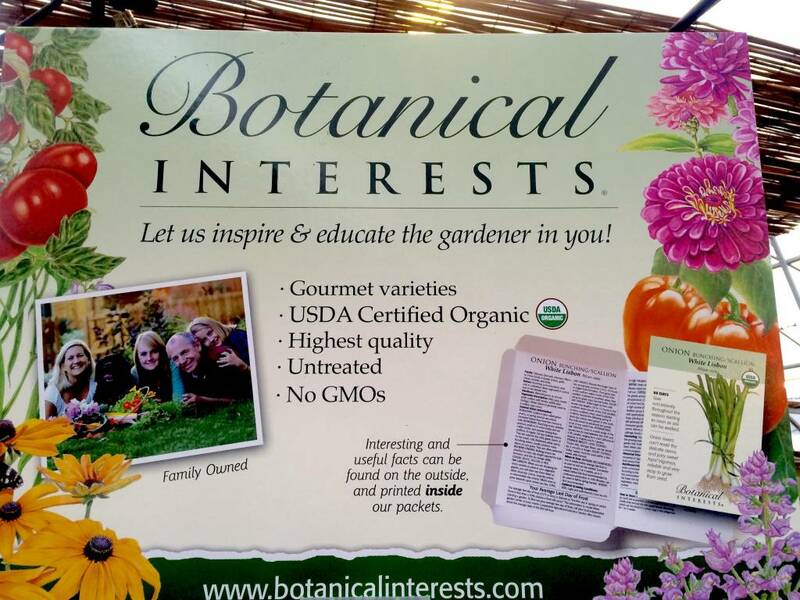 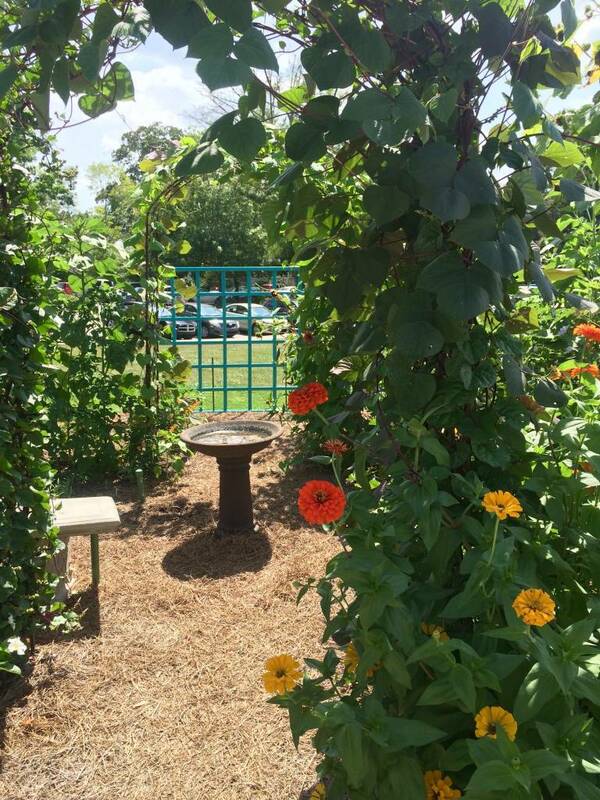 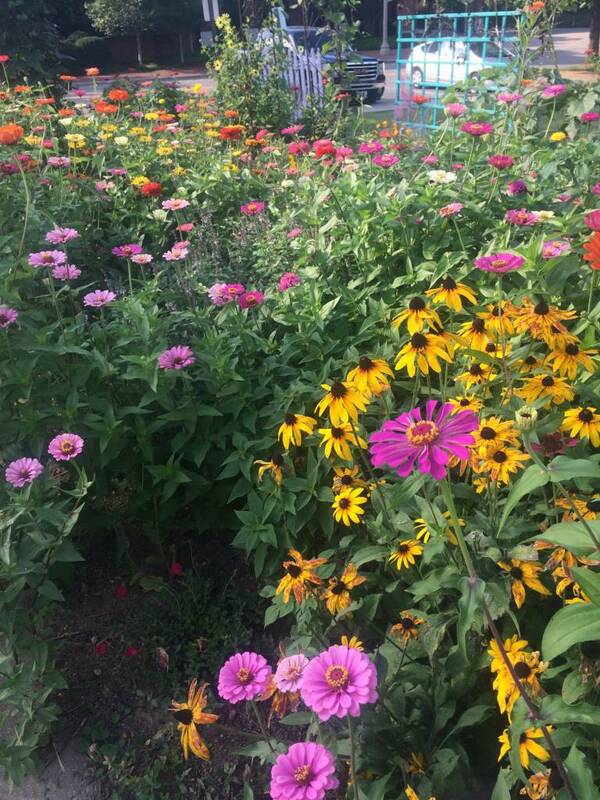 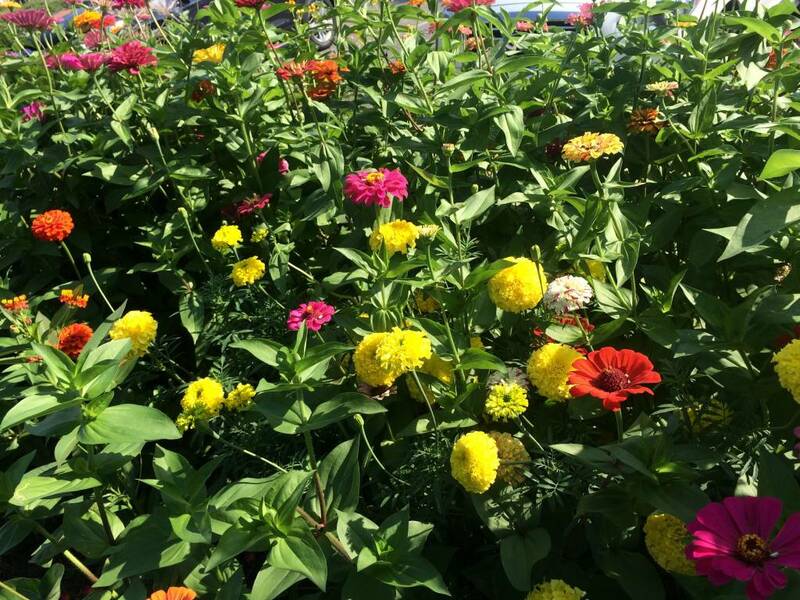 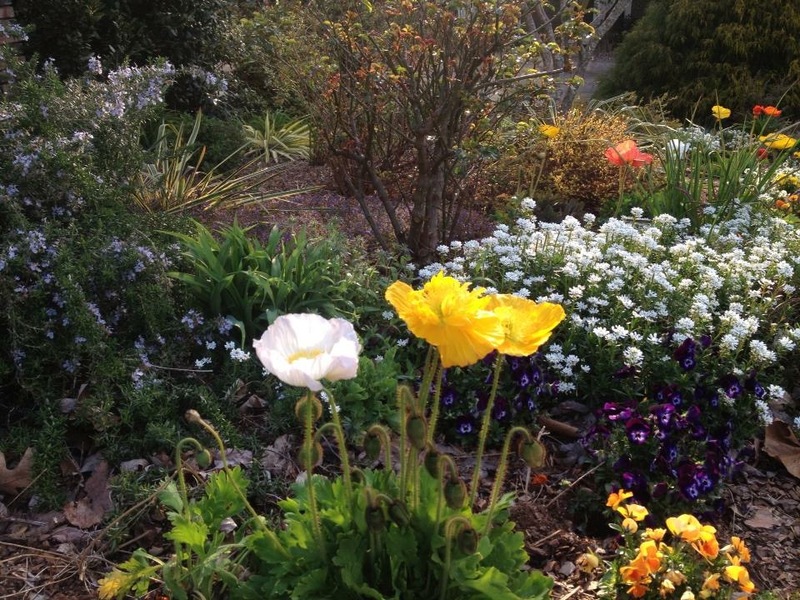 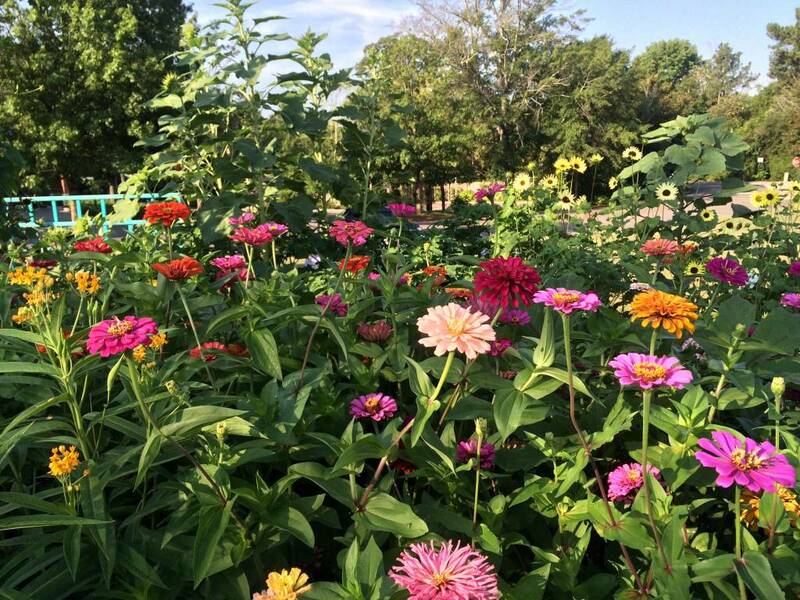 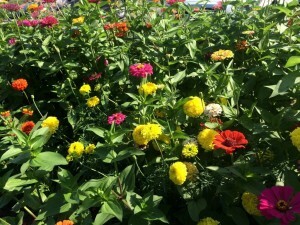 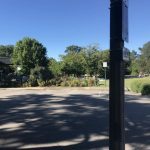 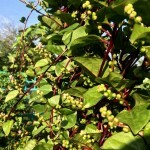 This entry was posted in Annuals, community garden, Flowers, Planting Tips, Summer and tagged better late than never garden, community garden, reseeding, sunflowers on September 23, 2015 by Kris Blevons.